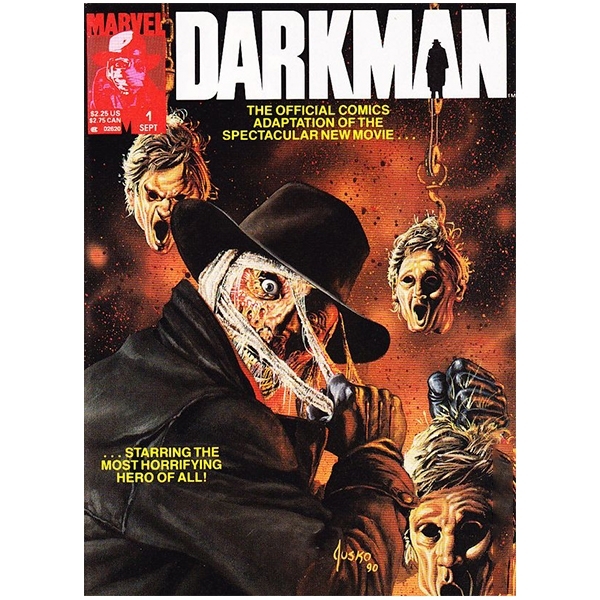 The official Marvel Comics adaptation of the 1990 horror/action/adventure film written and directed by Sam Raimi of Evil Dead fame. The comic was adapted by writer Ralph Macchio and Bob Hall and Mark Texeira handled the pencils and inks respectively. The excellent cover illustration was done by Joe Jusko. Black and white interior art, 60 pages, first printing, published in 1990. Shipped in magazine bag with backing board.